Richard was absolutely lovely, from responding immediately to my enquiry to arranging an appointment and keeping me informed. He did a great job with minimal fuss and was a real hit with our dogs as well, who insisted in wanting to play with him!! Great service, would highly recommend. Richard Stewart completed a superb repair on my vehicle last week. very pleased with the work and very nice courteous man . I would highly recommend and would use again but hope I do not have to!!! Excellent from start to finish. The communication from Richard Stewart was first class. All questions answered, inspection and appointment all confirmed and carried out as agreed. Now I'd never know my car had been damaged. Thanks Richard! Excellent job by Richard Stewart, fast and friendly service and proffessional, as if by majic the chip is gone! No hesitation to recommend, everything was great, thanks Richard!! Richard Stewart repaired the damage to my car last Friday. I am very satisfied with the whole experience. I just sent photos of the damage via a text, a quote came back, I accepted and a date mutually convenient was fixed. No hassle and a first class job on my own property. Richard was a true professional, courteous and respectful. ... Read more The inside of his van was a testimony to the quality of his work. I would highly recommend Richard, and whilst I hope I never need him again, I would definitely use him again. My car is as good as new again. Many thanks Richard. Many thanks to Richard, ChipsAway Thames Valley for an efficient and high quality paint repair for my Audi following a minor bump. Amazing job done by Richard Stewart, had a black alloy wheel that needed paint work and a dent repaired. Car like new again! Will definitely use the service again. Richard Stewart has been to my house today and fixed the paint work on my car. It well over due and now looks amazing and I’m not embarrassed to drive it any longer!! Would definitely recommend. For the price you can’t go wrong. It was £200 cheaper than another quote I had. Hopefully I won’t need to go back, but if I do I know Richard will be able to do the job well. Had a nasty scrape on the left rear wheel arch on my Voyager. Richard from ChipsAway Thames Valley worked on if and now I couldn't find the scrape if I didn't know where it had been. Superb job by a friendly, professional and thorough operative. Highly recommended. Richard Stewart called today to undertake a small piece of work on my car. He was punctual, professional and the work was undertaken to a high standard, courteously and quickly to my entire satisfaction. I would certainly use him again and recommend him wholeheartedly. Great job. Richard arrived on time, was polite and friendly and carried out the work quickly and efficiently. The car looks as good as new - thanks! Hi everyone Richard Stewart of Chips Away has just visited me and the scratches on my car have magically disappeared. I would highly recommend him and he is local in the Bucks area. You can reach him on 07766 004114 . Excellent service and communication. They always give an open and honest appraisal of the work required and the work is completed to a high standard. Excellent value for money, will always recommend. Richard Stewart from Thames Valley provided an excellent service. He is polite and courteous and replies promptly to phone calls and text messages. The work was to a very high standard and I would highly recommend his services. I would like to recommend Richard Stewart of ChipsAway who recently repaired an alloy wheel scuff on my new car. I have used Richard several times over the past few years and he has always provided an excellent service. He is professional, friendly and efficient and produces a very good result. Anyone who uses Richard can be assured of a great service at reasonable cost. Excellent repair work done by Richard Stewart. Looks brand new and you would never know it had been repaired. Friendly service. Would highly recommend! Richard Stewart from ChipsAway in our area (Marlow/Beaconsfield/Taplow) has looked after us for years, taking over the business when his father retired. In all that time he’s been excellent, repairing all those little knocks to bumpers, wheels, etc! I have no hesitation what so ever in recommending ChipsAway and Richard. Highly Recommend Richard Stewart from ChipsAway. Fantastic fast response and excellent service. Always delivers a great service - fast to make contact - turns up when he says he will - always a great deal - always a great finish on the vehicles. Use Richard every time our fleet of vehicles has a ding or a dent. Thanks Richard. Absolutely brilliant repair - cannot fault the service from Richard Stewart. Very happy with everything, including follow up, and would definitely use Richard again. Excellent service, advice and price from Richard Stewart in Thames valley. Richard was very helpful in repairing both my car and more recently my wife’s car. Worked flexibly to minimise disruption and avoid any time off work by doing the work at our house. Thank you Richard. Would recommend you unreservedly. Car is like new, perfect job by Richard Stewart. Easy quote process, sensible price, flexible on times and great communication. Overall everything was excellent, I would highly recommend Richard. great sevice from Richard Stewart; a very friendly and competent crafsman. I used Chips Away for the first time for a damaged front bumper which I had then made worse by trying to spray it myself. Richard Stewart was fantastic to deal with throughout right from initial contact and coming out quickly to provide a quote to completing the job; the end result is as good as other repairs I have had done in the ... Read more past at a body shop whilst being considerably more affordable and convenient. Richard was also a genuinely nice guy and I'd happily use him again in future and recommend him to anyone else. Very pleased with the excellent job Richard Stewart from ChipsAway Thames Valley carried out on my Mercedes A-class. Fill, flatten and re-spray to my passenger wing and it was a first class job. Richard was a lovely bloke too... highly recommend!! 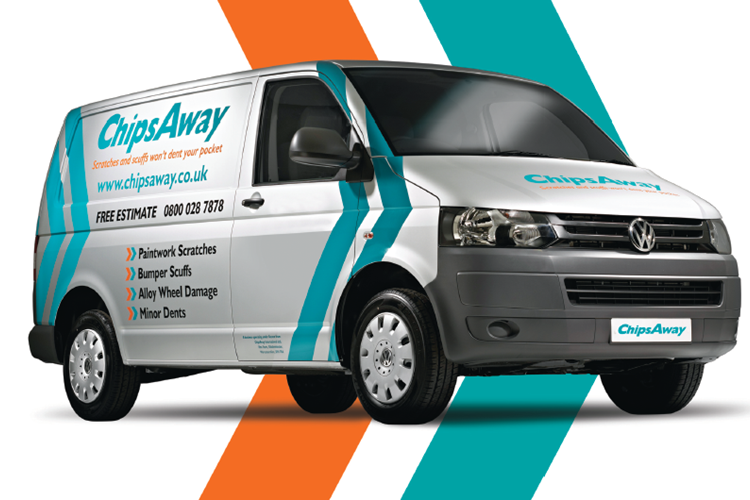 Richard, ChipsAway Maidenhead, is always efficient, professional and courteous. Richard Stewart is my local ChipsAway technician who gave me a quote for repairs to the bodywork of my BMW based on photos provided by myself. We arranged a date to carry out the work and Richard turned up promptly and carried out the work to a professional standard. I was very pleased with the standard of Richard's work and ... Read more would not hesitate to use his services again or recommend him to friends and family. Richard Stewart from Chips Away Thames Valley did a great job repairing a number of scratches and chips on my Mercedes- you can’t see where any of the marks were. I would definitely recommend him. I am totally confident in recommending Richard Stewart. He has done several paint/filler/dent jobs for me over many years. His charges are reasonable, He always arrives at the agreed time and does a thorough job. The results are always excellent. I have been using Richard Stewart at Chipsaway for over three years and he has repaired some fairly big panels.Excellent and I couldn't detect the difference between the repair and the original finish. Efficient, conscientious and a pleasure to deal with. I will continue to use him in the future. You won't find better. Smallish shopping trolley damage (with a deep chip) to a Range Rover Velar, in an awkward but beautiful Aruba Metallic Gold. Richard Stewart (/richardstewart subsite off the main chips away URL) did an amazing job, you genuinely can't tell where the damage was, from any angle - and that's quite something for any metallic finish. I'd ... Read more recommend him to anyone who wants their car to look spectacular again. Great rate, too, well worth the money. Richard Stewart was our Chips Away representative and delivered a first-class repair to 2 of the cars at my home. Communication was excellent, He was prompt and cleaned up afterwards. Highly recommended. Sterling job. Friendly, knowledgeable and reasonably priced. Very professional. Richard did an amazing job on my car. Really personable, professional and friendly. Thank you! Delighted with the work completed by Richard, very thorough and professional throughout. My Subaru was less than a year old when I had a incident with the side of my garage. The front nearside bumper had a nasty scratch. My local Subaru dealer recommended ChipsAway. Consequently I contacted Richard Stewart. Richard came to my house and within a couple of hours my car looked as good as new. An excellent job. I would certainly recommend ChipsAway. Richard was fantastic. Good communication pre, during and post visit. Arrived on time and was very personally engaged throughout. The job was done to an excellent level and was great value for money, would certainly use again and recommended to others. Richard Stewart from ChipsAway did a great job in repairing the two scratches on my car. It is now back to new. High quality service at an affordable price.